This is a fantastic day foundation as it lasts for a long time and you don’t need much to get the look that you want, this product comes in a range of different colours so it makes it easier to find the colour that is perfect for you! This product can be purchased from any beauty store (E.g. Boots, Superdrug etc.) The foundation costs £9.99 which I think is a reasonable price as you don’t need much of the product to get a even coverage. 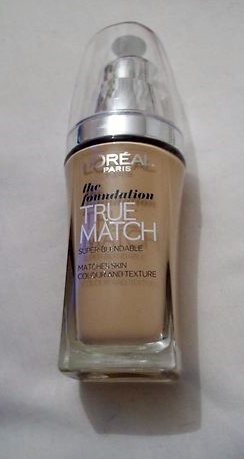 The application of the foundation is really good, it has a runny consistency but that makes it really easy to blend. I find that the best way to apply this foundation is to apply it with your fingertips or a flat foundation brush I also personally use loose powder on top just to finish the look. Overall this is a great foundation that delivers consistent results at a reasonable price. I love it! Its such a great product and gives amazing coverage! I haven't really heard much about this foundation, what type of coverage does it give?